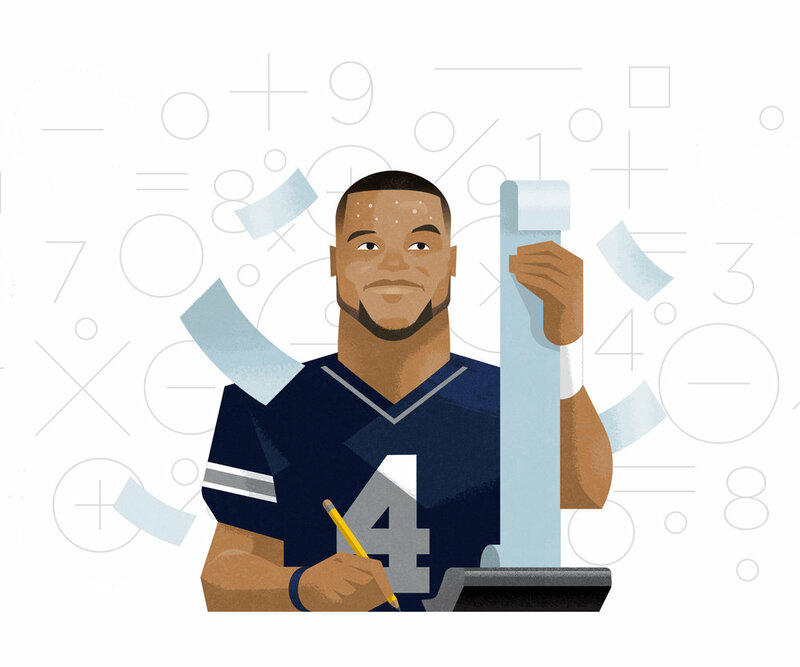 I worked with Titus Smith over at ESPN to create a series of illustrations for their online feature, THE DAKULATOR. The tool would compare the Dallas Cowboys QB Dak Prescott's pay to the rest of the QB's in the league, showing time they would have to play to match Dak's relatively low salary. 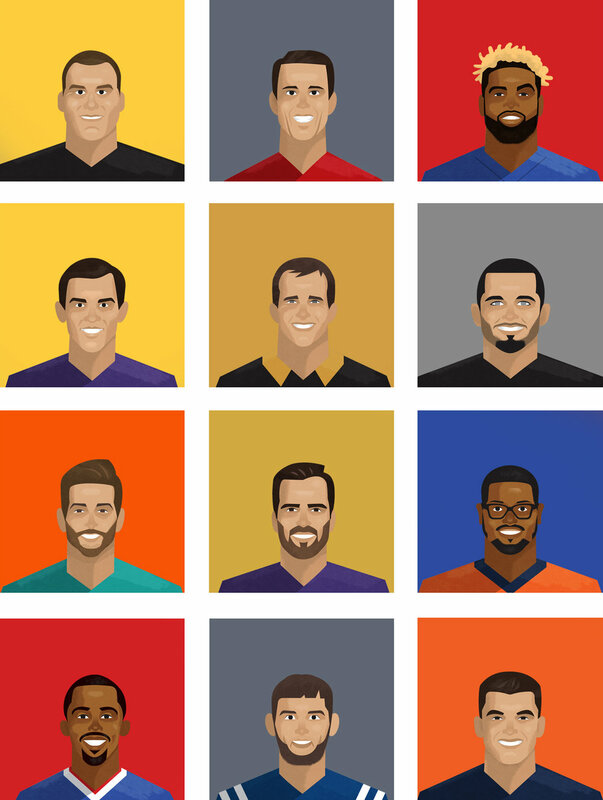 We created a large hero image that was animated as well as a bank of 40+ portraits of the other QB's and some of the top players in the league. Thanks to Titus and the team for such a fun one to collaborate on. Go check it out!